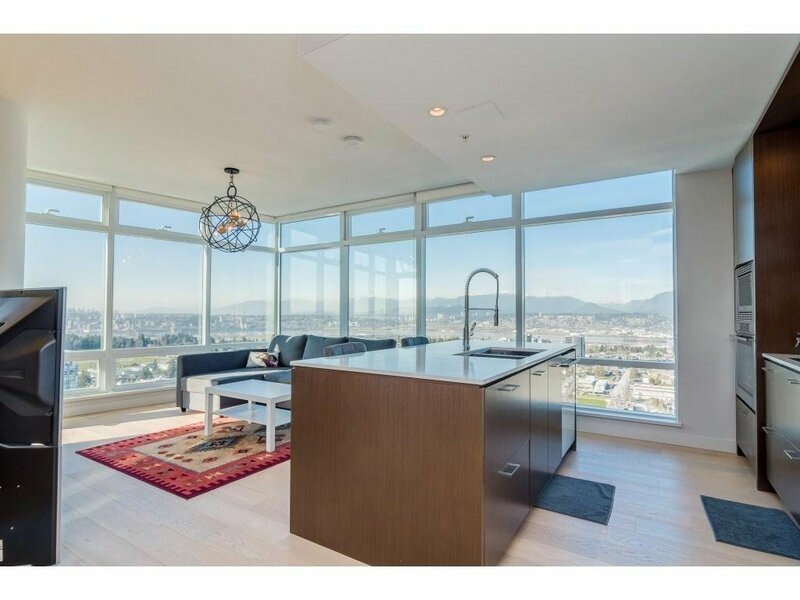 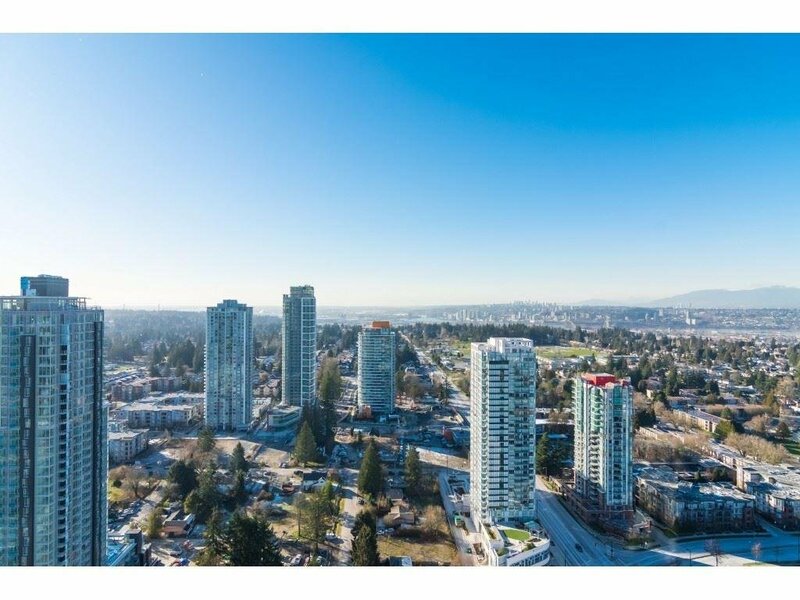 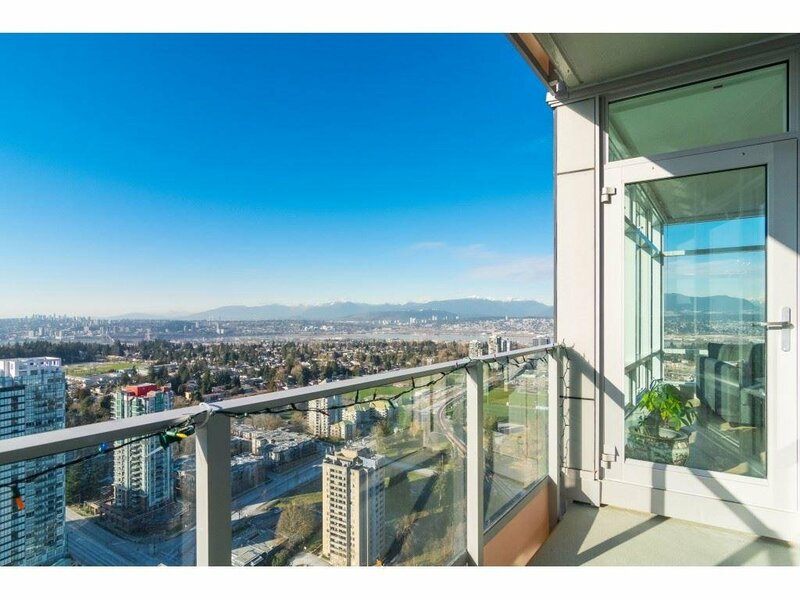 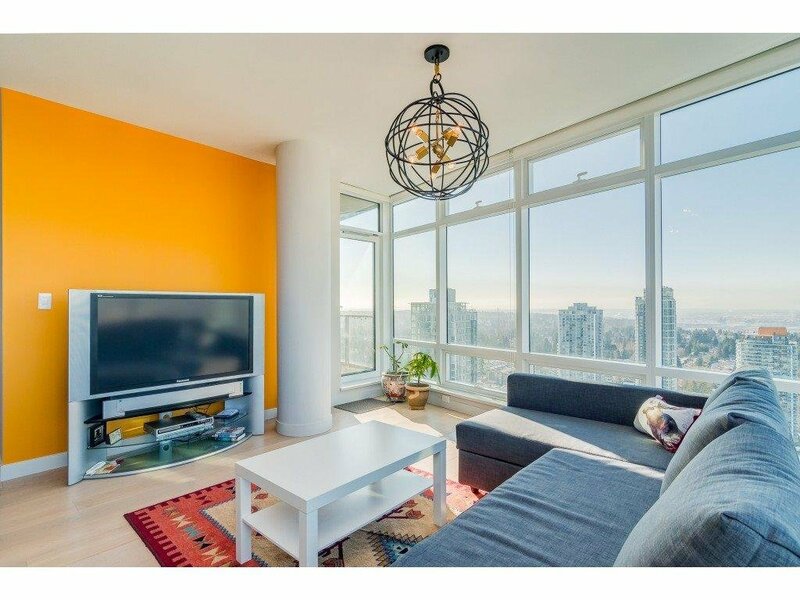 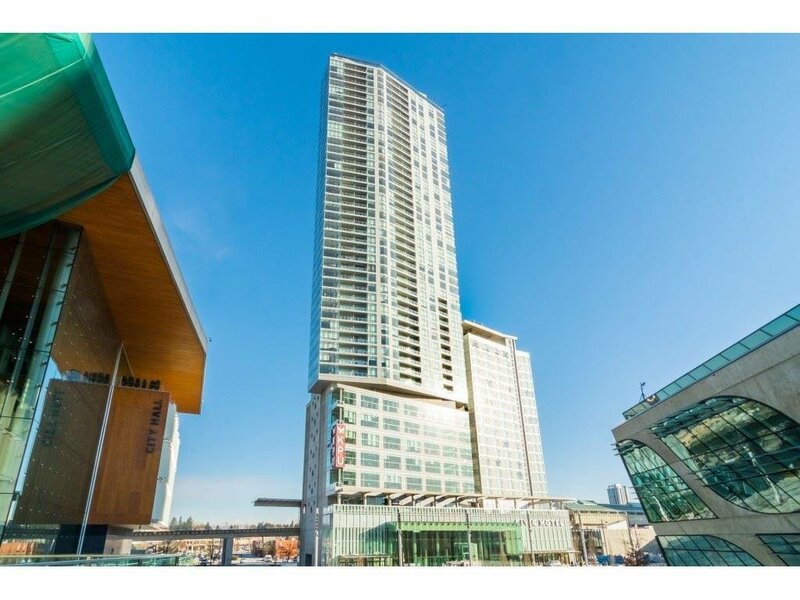 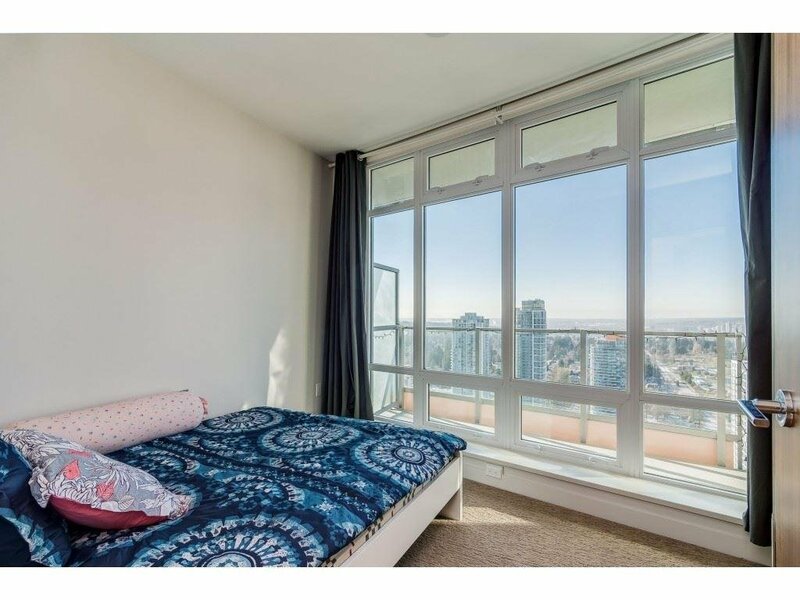 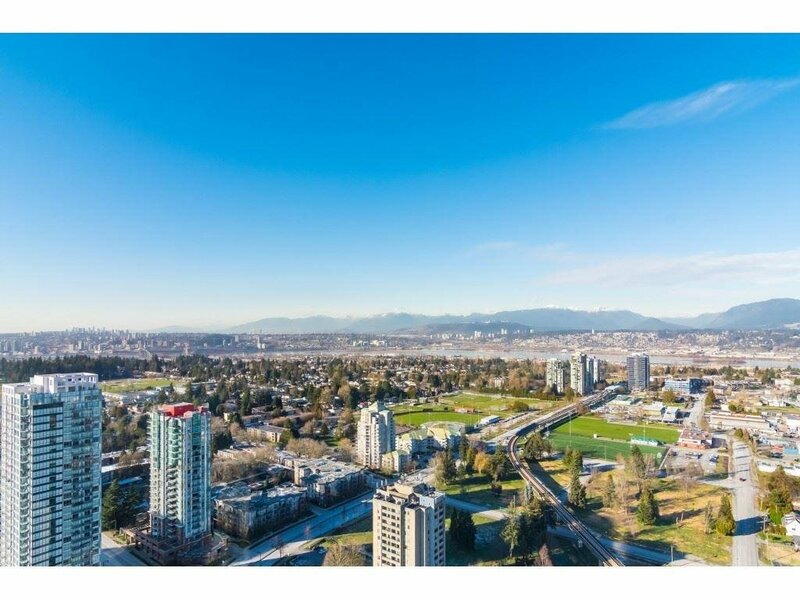 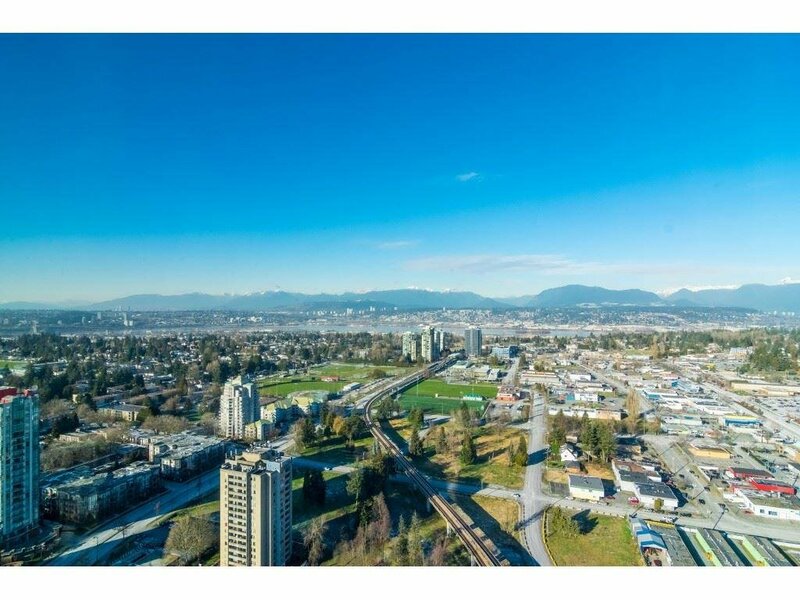 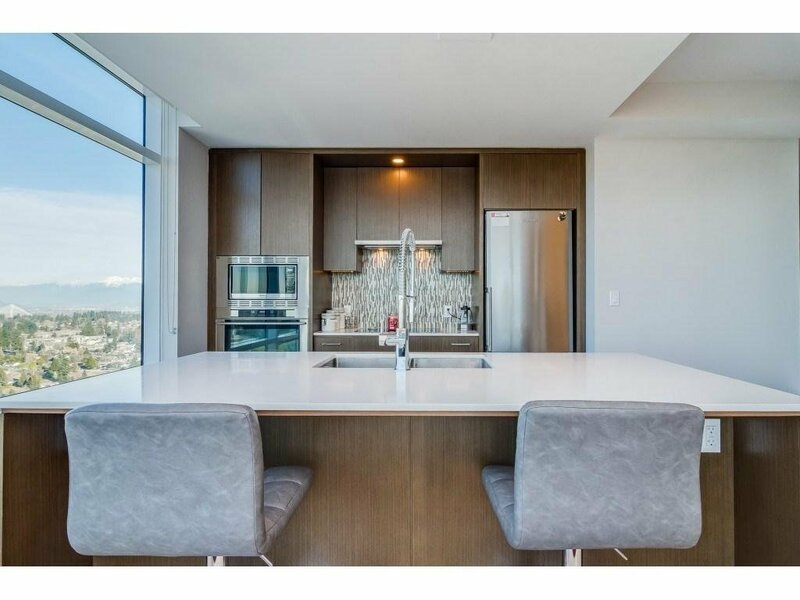 Unbeatable panoramic views in the highest building 3 Civil Plaza in the centre of Surrey Central. 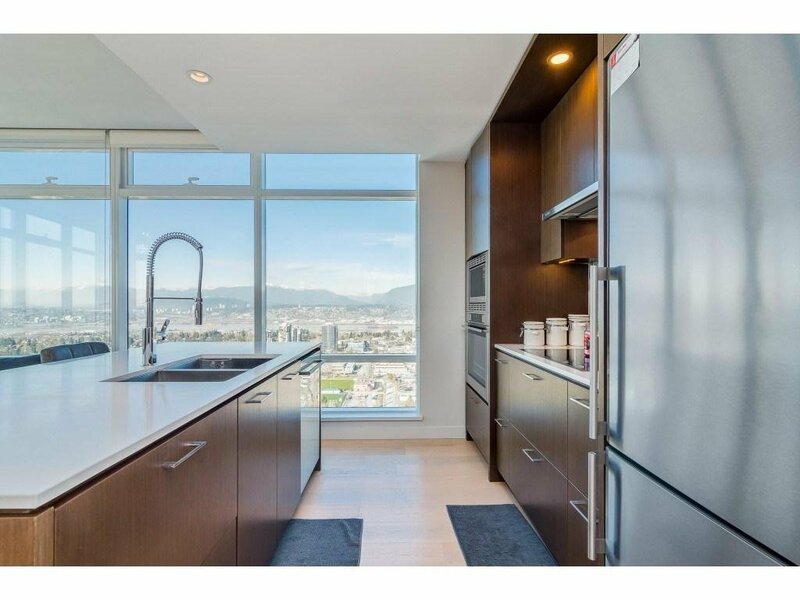 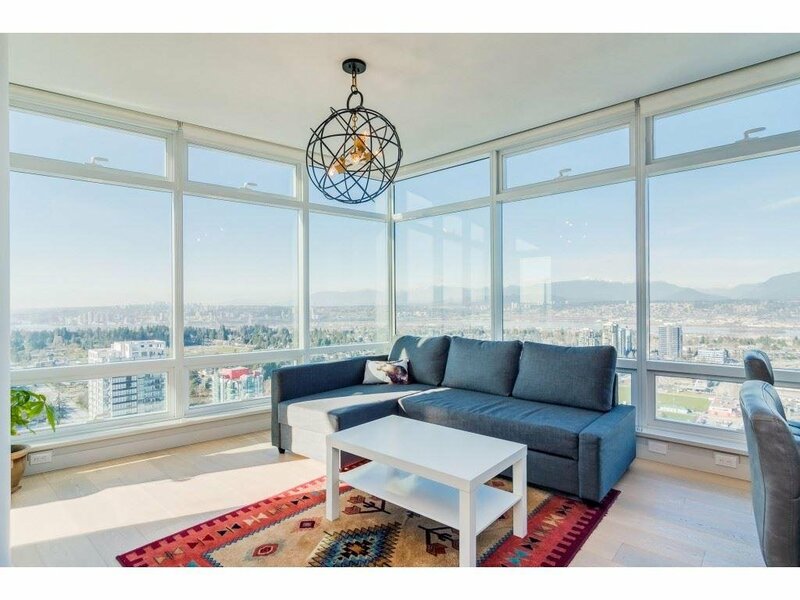 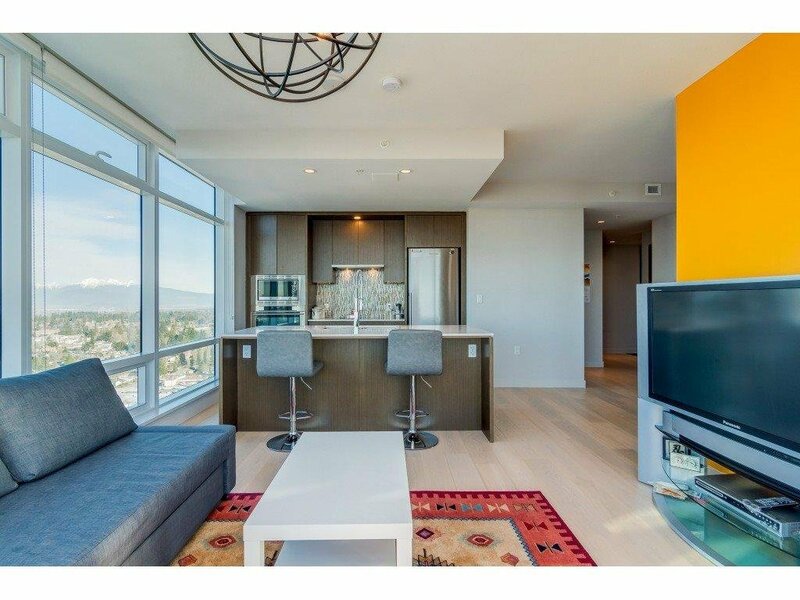 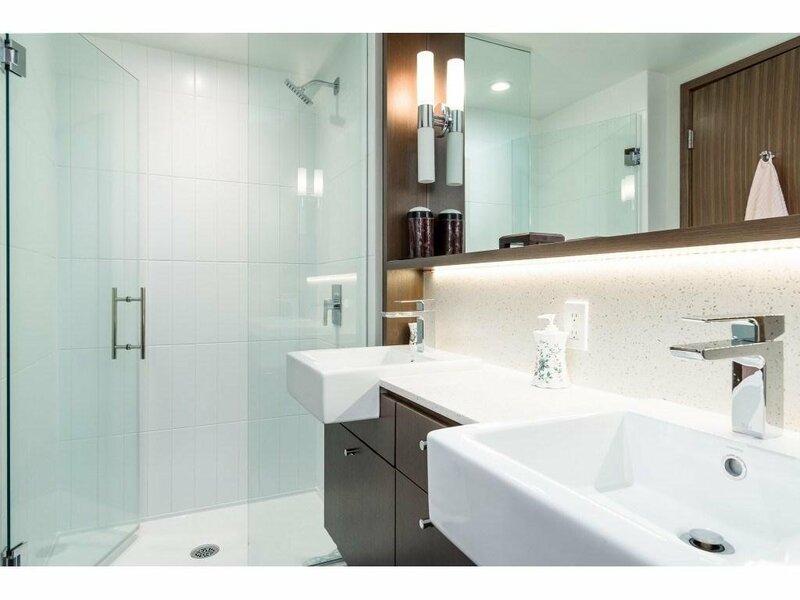 Luxury, Bright corner unit features 2 bedrooms, 2 full 4 pc bathrooms and a 65 sqft balcony. 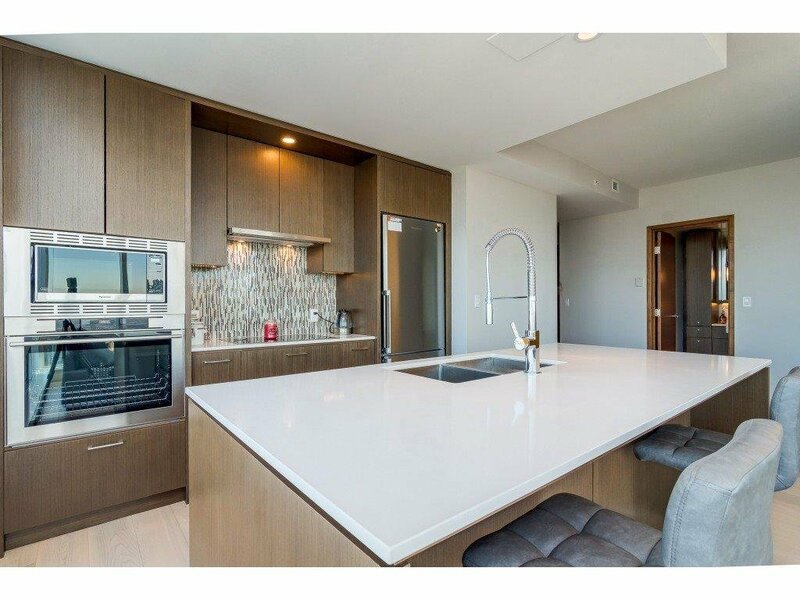 Functional floor plan with 9 feet high ceiling, oversized windows provides abundant natural light. 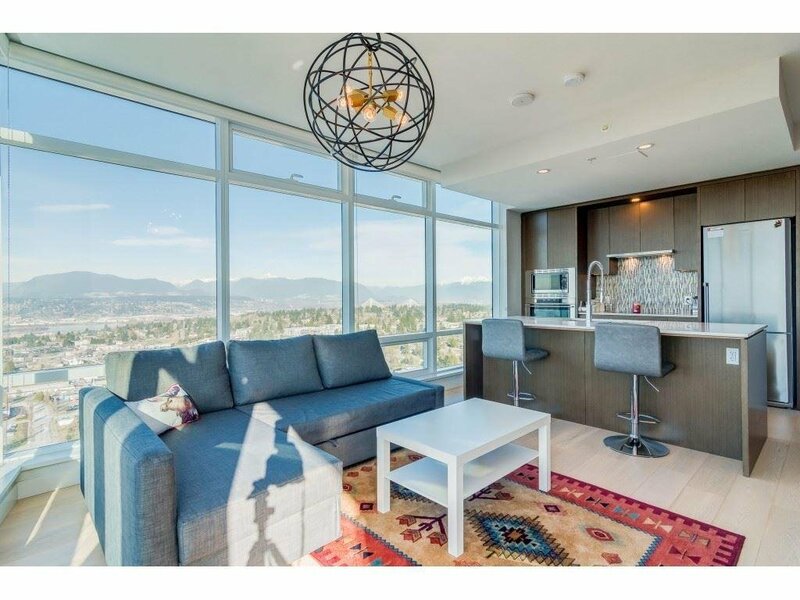 Living room facing North and west holds gorgeous mountain and water views, and Master bedroom facing South and East enjoys obstructed city views. 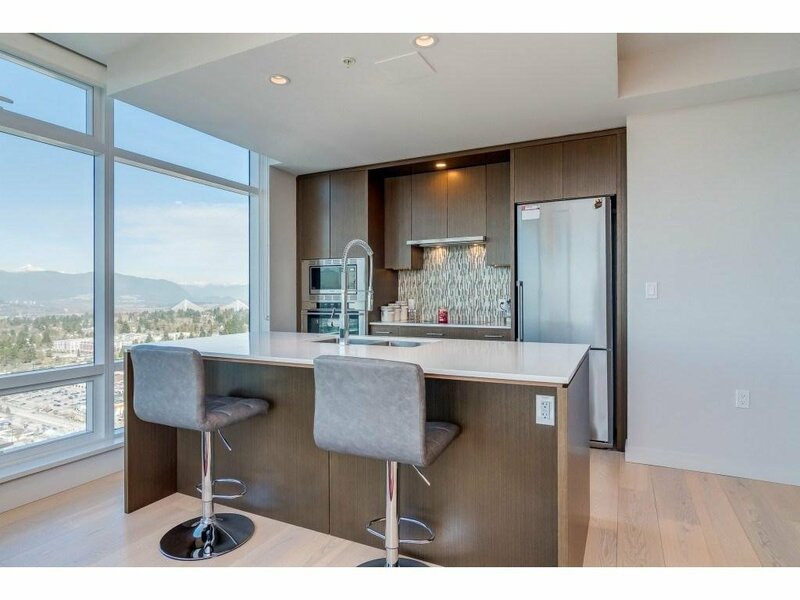 Spacious kitchen with high quality European Style cabinets and stainless appliances. 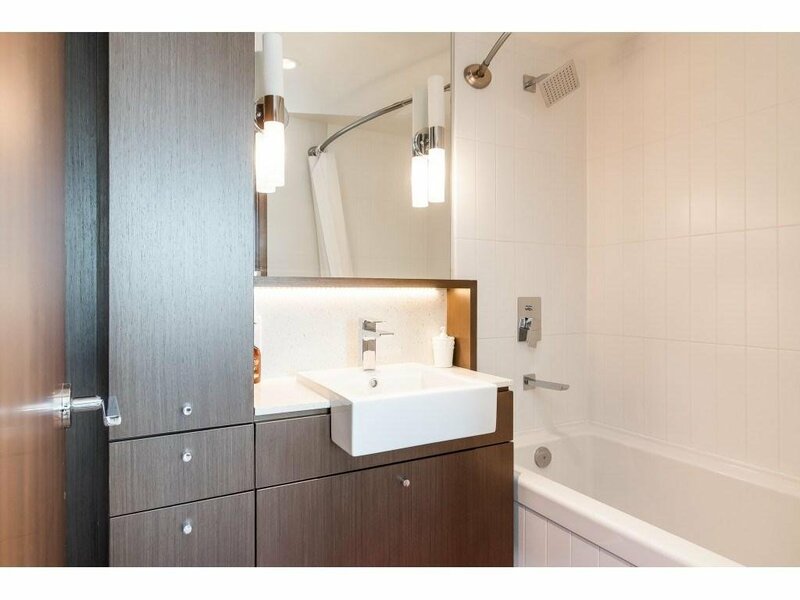 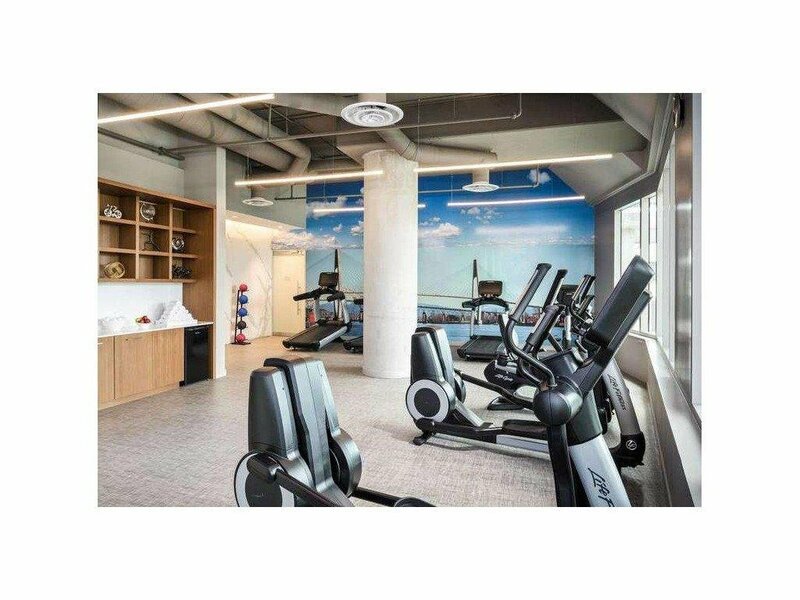  Cooling air, radiant heating, 1 Parking, 1 Locker, Swimming pool and Hotel amenities. 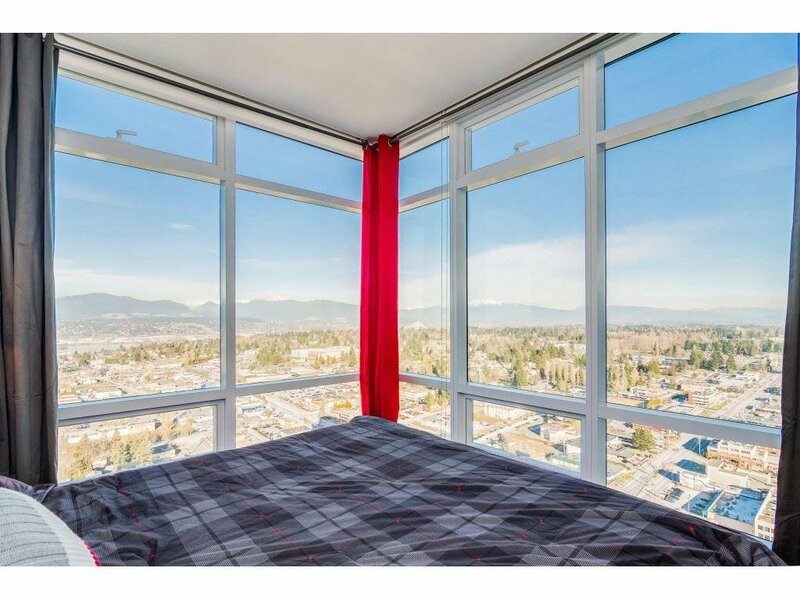 Perfect location near to Skytrain, SFU, KPU, Library, City Hall, Shopping Centre, T&T, Banks and Restaurants.